I am a single mom in my forties with a 12 year old who is in the Dual Immersion school at High Desert Middle School and an 18 year old who is in the Life Skills at Mountain View High School. I have been carpooling for the last two years to and from school, soccer practices and games. I also carpool during basketball season getting kids to and from practices and games. 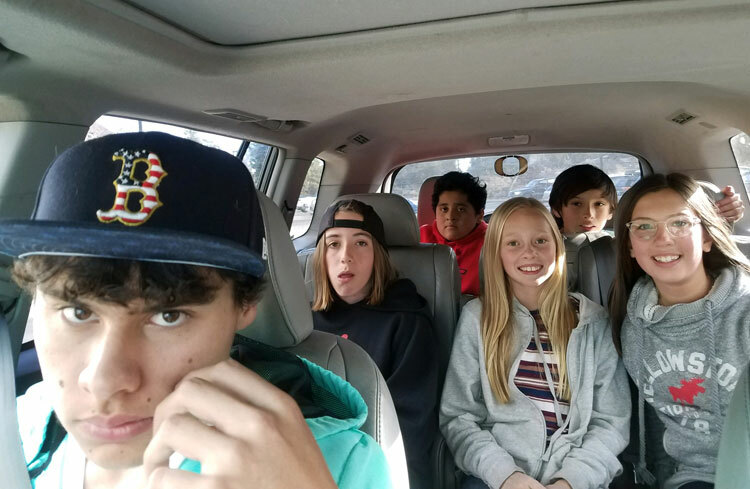 I started carpooling when I learned that one of my child’s friends was not able to continue the dual immersion program when the boys started middle school. He lives down the street and I knew his mother was a hard working single mom like me and that she had no mode of transportation. She is from El Salvador and has been walking to and from work for, I think, at least eight years. This year I transport six kids (two of whom are my boys) two to three times a week to and from school. Three family households help with the carpooling. One boy comes from a single parent household who does not have a form of transportation. I help him and his mom get to and from certain activities and events such as Parent-Teacher Conferences, band performances and other school related social events. I also transport four boys, including my son, to and from soccer practice one to two times a week. I also help out with getting one to two boys to soccer tournaments on the weekends as far away as Lakeview, WA. I also love to ride my bike, especially with my kids. When my 12 year old was in 4th and 5th grade I would ride my bike on the last day of school and pick him and ten of his buddies up. We would ride our bikes down to the Harmon Park softball fields to have an end of the year kickball game. Now that their school is further away I pick up six of them by car on the last day of school to play kickball down at Harmon Park. Last year we had over 15 kickball players! Its become a tradition that everyone enjoys. ( During the summer months, I attend several concerts and ride my bike to and from these. My boys and I ride my bike numerous times in the spring, summer and fall months to attend Munch & Music and to meet friends downtown for social events. I am a mother who believes in getting to know who my boys socialize with and their families. I make it a point to introduce myself to parents and ask how they get to and from school and sports.I love carpooling and listening and conversing with all the kids about school, friends, sports, etc. I also carpool to help save gas, help friends, make it to work, on time and to be a role model for my boys on how we all need to help one another.